Accommodation is not included in the registration fee of the conference. 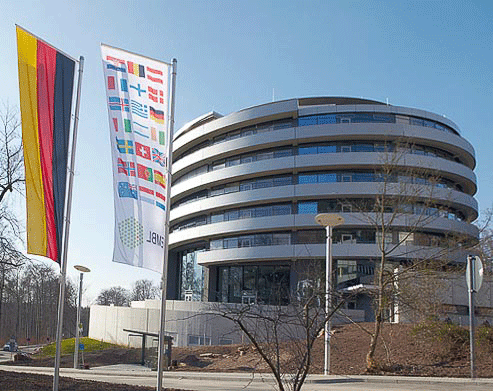 Rooms have been pre-booked at the EMBL partner hotels, allowing participants to choose a suitable hotel at an EMBL discounted rate. Please contact one of the partner hotels before 9 February 2016 in order to ensure availability. Prices do vary according to season, therefore please quote the code VIZ16-01 and confirm the exact price of the room with the hotel directly. A free conference shuttle buses service will be provided for VIZBI 2016 participants. 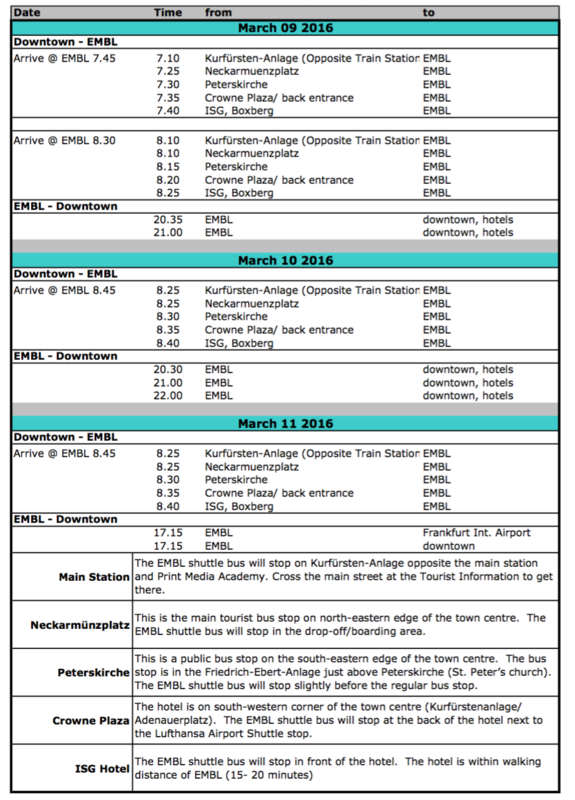 The buses will go from designated stops near the hotels to EMBL and back, mornings and evenings. Childcare is offered for children between the age of 3 months and 3 years to registered conference participants. The children will be looked after by highly professional Kindergarten teachers, employed by the EMBL Kinderhaus. This service is offered for the duration of the entire conference for 100 Euro per child. Childcare can only be provided for 10 children per conference. Registration will be on a first-come first-served basis. For more information please visit: http://www.embl.de/training/events/info_participants/childcare.